Animals are good at hiding pain so you might not realize there is a problem. Shaking, panting, whining, restlessness, refusing to eat and unwilling to socialize are all ways that animals exhibit pain. Always remember, as a pet owner, you know your pet better than anyone else and even subtle signs can tell you a great deal. There are many types of emergencies from a torn toenail to a bite wound. To name a few more serious emergencies: vomiting, diarrhea, straining to urinate or defecate, seizures, trouble breathing, and toxin ingestion. If these symptoms are not addressed in a timely manner, they can become life threatening. 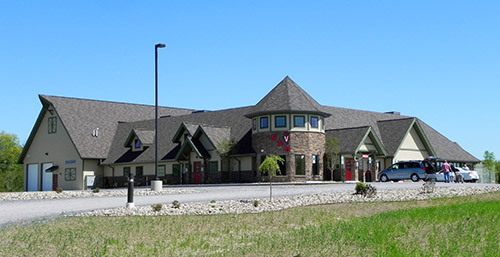 At Sunbury Animal Hospital an emergency veterinarian is available 24 hours a day, for those times when your regular veterinarian is closed. Please do not hesitate to call us if you feel there is a problem with your pet. No matter what the concern is, our staff is here to help. Remember that Sunbury Animal Hospital is your areas closest 24 hour Emergency Animal Hospital and that your pet’s 911 is 570-286-5131.